I have been making wet plate cameras for some time now. I ship my handmade cameras all over the world. To see some of what I do, visit my website Guillory Cameras. 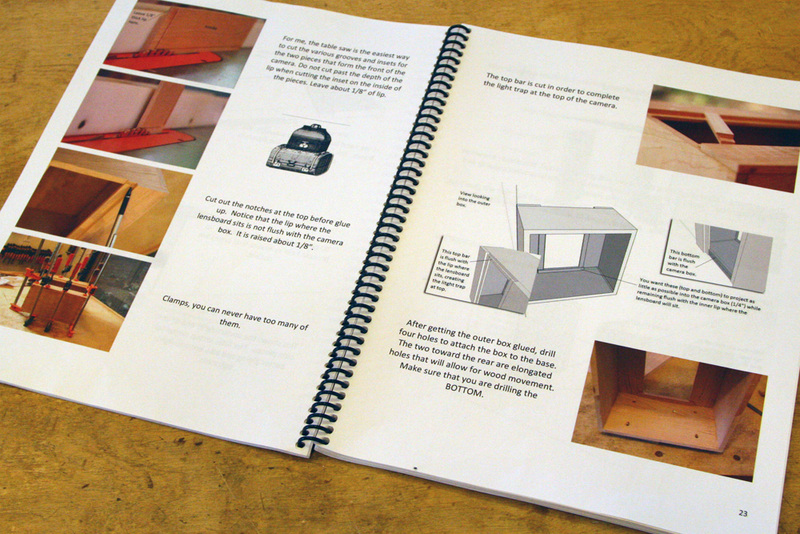 I have published a book on how to make a sliding box camera. 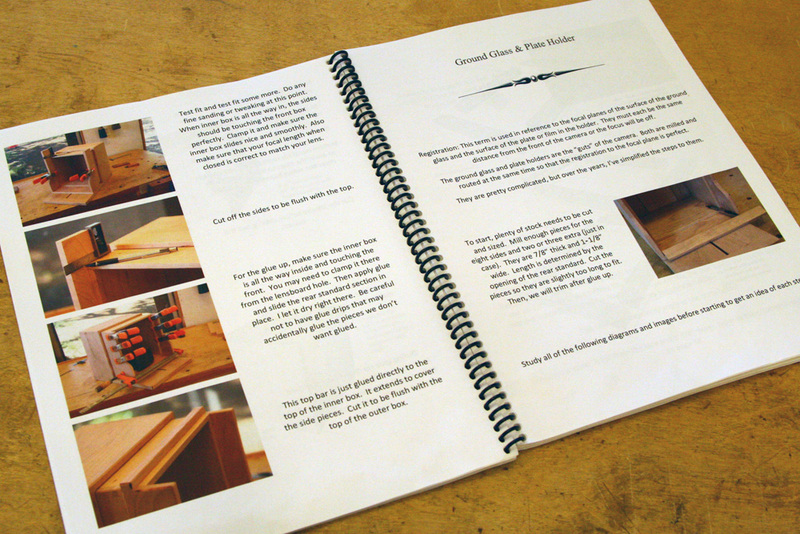 I aim the book to the experienced woodworker who is familiar with some traditional joinery. Some of the joinery such as the handcut dovetails may be substituted with box joints or finger joints. Mitered spline joints may be used in place of the mortise & tenon joints used in the book. Though aimed at the experienced woodcrafter, I feel that those with limited experience may be able modify the methods and techniques to fit their needs. The camera made for the writing of this book is a 5"x7". However, there is a section on measurements & adaptations that explains how to adapt the camera to fit your lens and format size. In the book, I cover many aspects of the camera making process; including lens selection, adapting my measurements for your needs, making the acrylic inserts and brass-work. 3D diagrams and color photos help you to visualize the process. Diagrams in the book are in inches, but I have 9 pages in the back of the book where those diagrams which contain measurements are reprinted using mm. 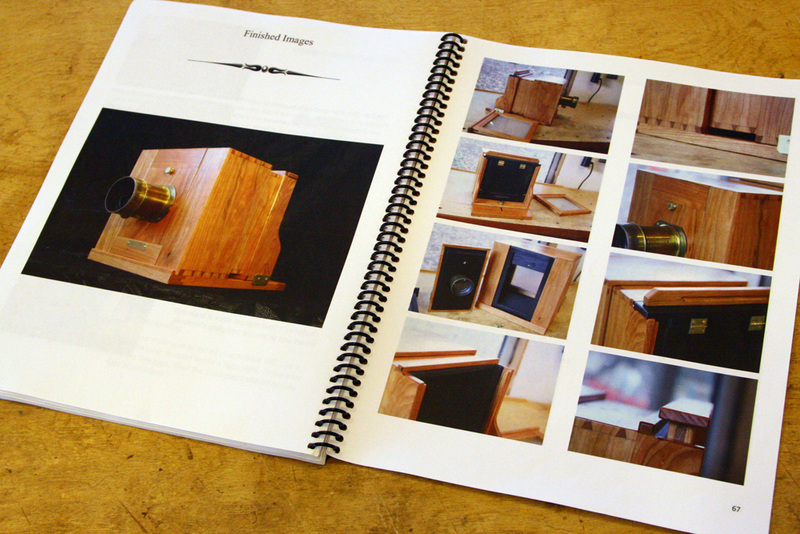 I have also written a book on building a traditional bellows style plate camera. It can be found at www.wetplatecameraplans.com. I now have both of my books also on Amazon. This will make shipping to places other than the US much cheaper. The Amazon ones are not spiral bound though. That is only difference. Just search the book titles in Amazon. Books are spiral bound so they will lay flat on workbench tops. Printed on 60# paper with laminated cover. Written print is larger than normal to ease reading from a distance in the woodshop. 78 pages. Shipping is included in each of the "Buy it Now" options. Will be shipped in water-resistant plastic bag with cardboard book shipping box. I have found that the new eBay shipping system for international orders is working better than me shipping directly overseas. 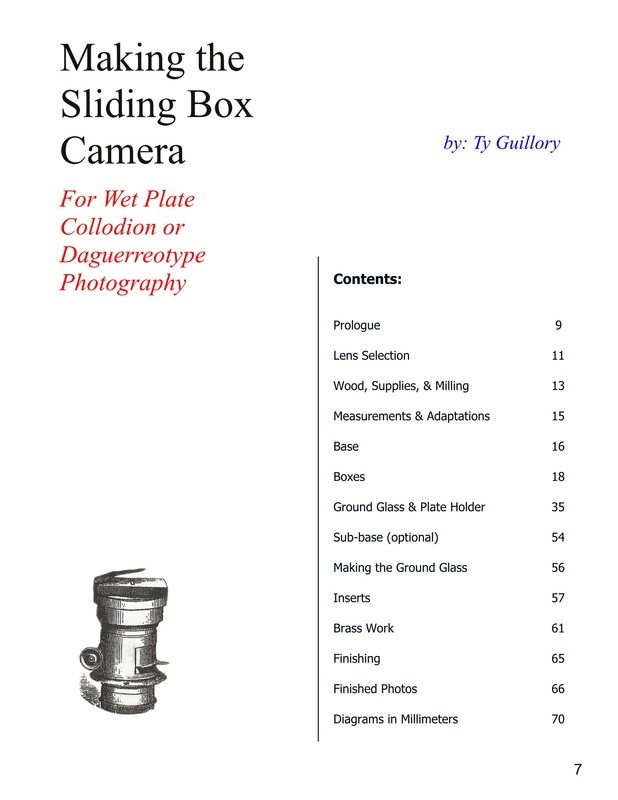 So, please go to the US eBay link below and type "Make a Wet Plate Sliding Box Camera" into the search section.